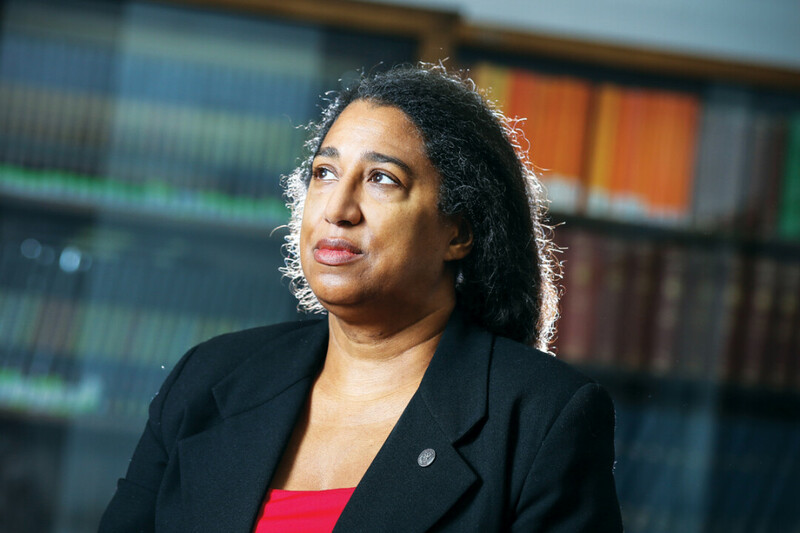 Local historian, community servant, and UW-Eau Claire professor Dr. Selika Ducksworth-Lawton was recently recognized as one of Wisconsin’s most influential black leaders by Madison 365, a publication dedicated to producing journalism that fosters dialogue between members of diverse communities. The list, entitled “Black Power 2018,” featured 41 other Wisconsinites of color working in various fields. It mentioned Ducksworth-Lawton’s work advising the Eau Claire Police Department on cases involving race, her efforts in racial bias training, her experience and knowledge in the history of African-American military issues and civil rights history, and many more endeavors. Ducksworth-Lawton has taught history at UWEC for nearly 25 years, always working to improve the lives of underserved communities. She is vice president of Uniting Bridges of Chippewa County and serves on the executive board of the Chippewa Valley chapter of the American Civil Liberties Union of Wisconsin. She also is involved with the organization of Eau Claire’s Juneteenth and Martin Luther King Jr. celebrations.